Beauty ecommerce site Coterie is today announcing a seed raise of $1.5 million from SoftTech VC, Javelin Venture Partners and Michael Jung. The company will eventually let customers subscribe to their favorite Coterie-featured beauty products via its “My Vanity” feature. 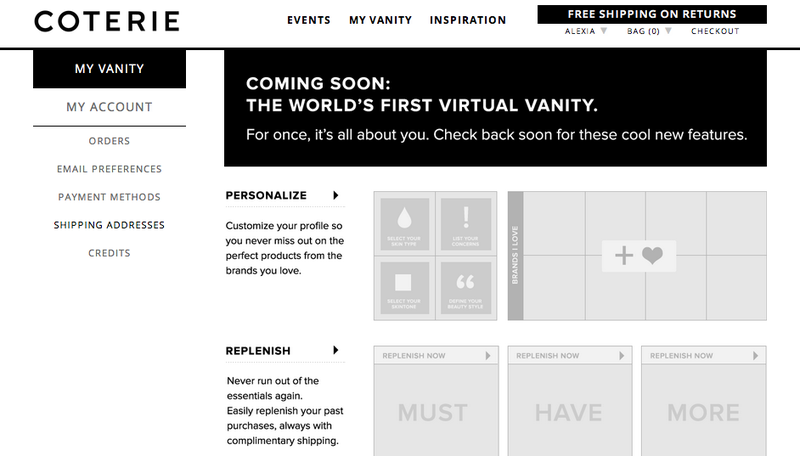 “My Vanity,” which will roll out in three weeks, allows customers to follow brands and subscribe to beauty products they need replenished. Magee views the company as competitive with Sephora and Beauty Bar, but holds that the “My Vanity” feature, site creative and the personalization of the shopping experience is what sets the startup apart from the incumbents.